I’ve been needing to move the geese for some time. 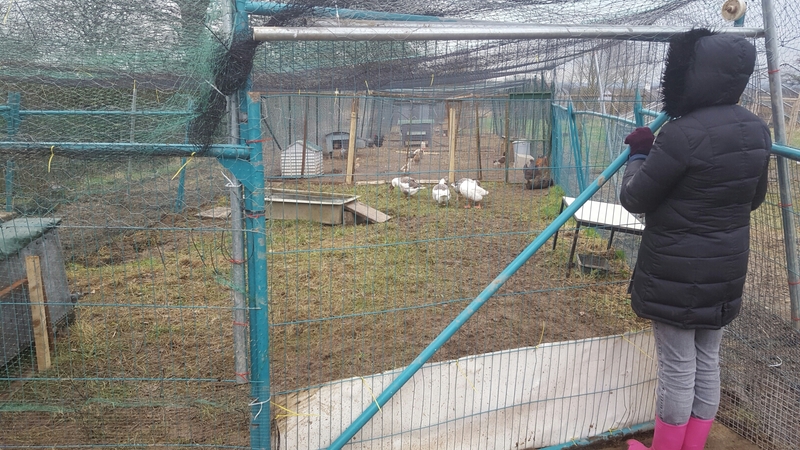 Where they were was too small and the aviary mesh enclosing them had got so weak over time they had begun to work wires loose. Also, it was just coming into the breeding season so I wanted them in their new home, and settled and happy as soon as possible. 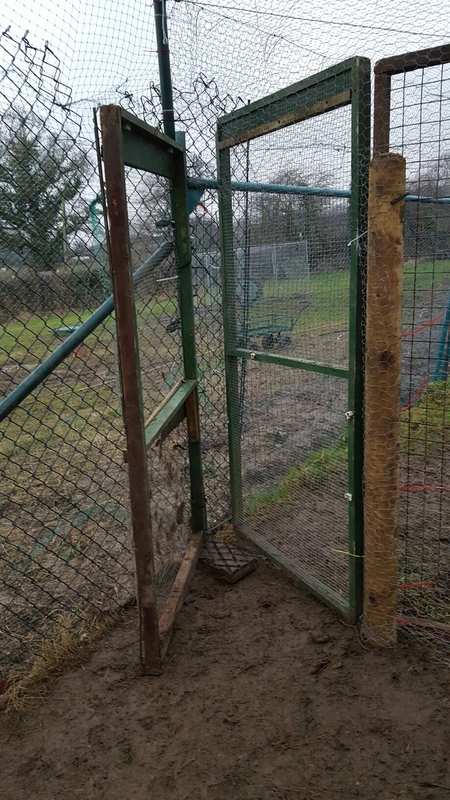 They are now in the (finally finished) top section of the chainlink enclosure, that extends each side of the chainlink section by 3 Heras security panels, making the top section 10.5 metres by 6 metres. 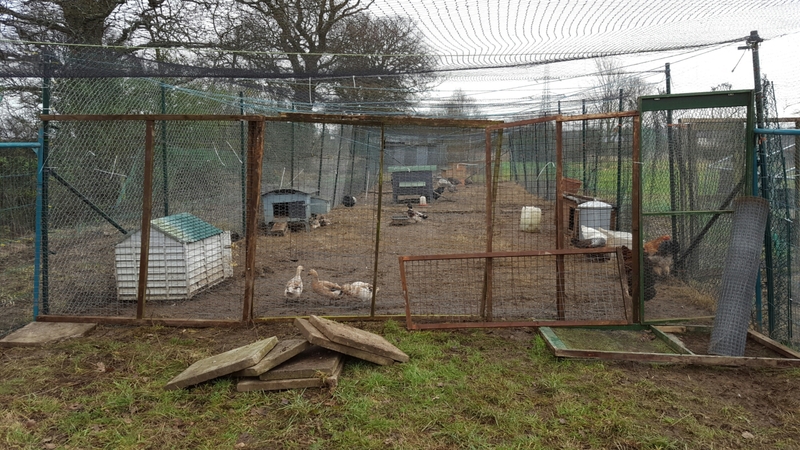 Aviary mesh and more was added to the outside of the security panels to deter rodents, exclude wild birds (with the current concern over bird flu) and to keep the geese in….. 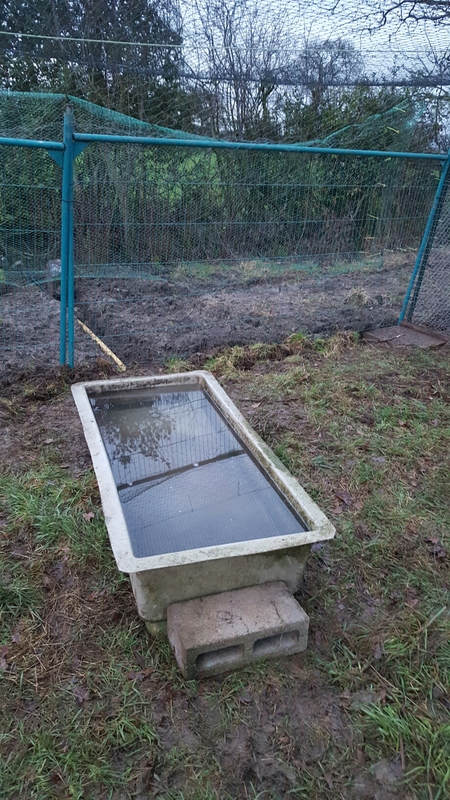 The old water tank will eventually hold chicken food and bedding but for now just needed to be waterproof and safer from the geese’s nibbling! 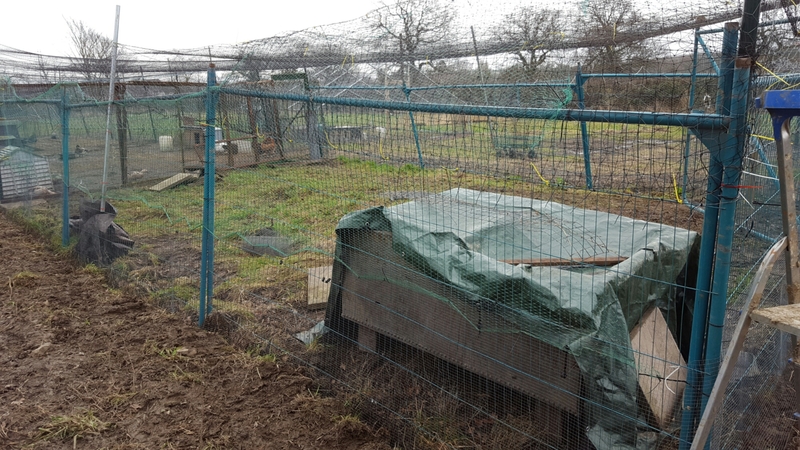 I used aviary panels (which came with the ornamentals a year ago) to make a second divide with the adjoining section. Not the prettiest job but fit for purpose. 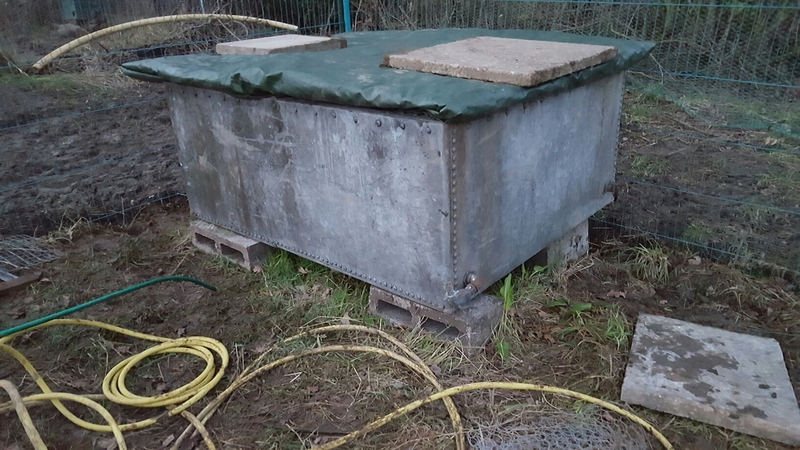 I bought a second hand fibreglass duck pond from eBay that is 5′ by 2′ and fitted it with a waste pipe and 7 metres of piping to drain waste water to the ditch. I needed to make a way for them to get in and out. “In” was easy – a paving slab on top of a breeze block to make a solid ramp that is nice and wide for them. 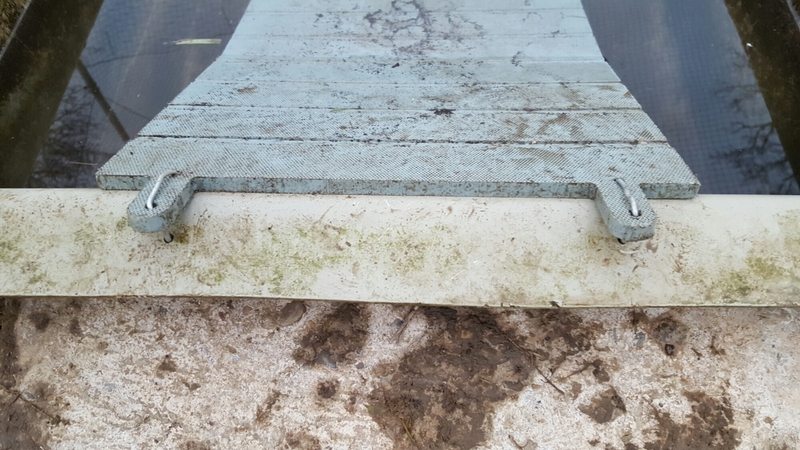 “Out” needed a little ore thought – it’s an old plastic ramp of a chicken house which I never used. 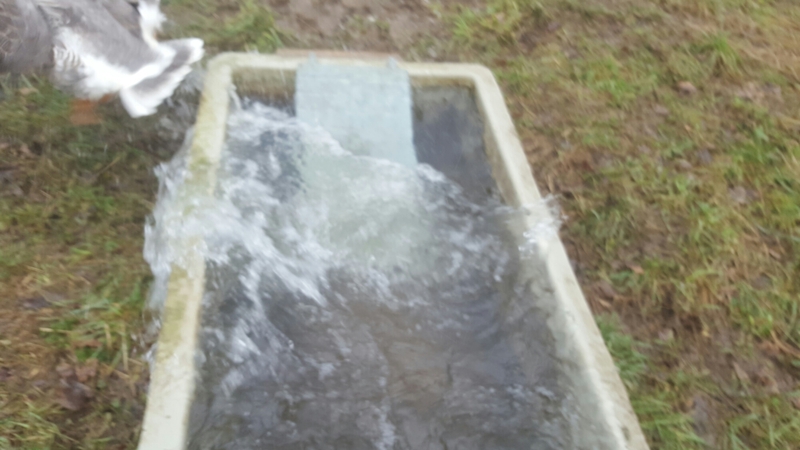 I drilled extra holes into it and the edge of the pond and fixed with wire. 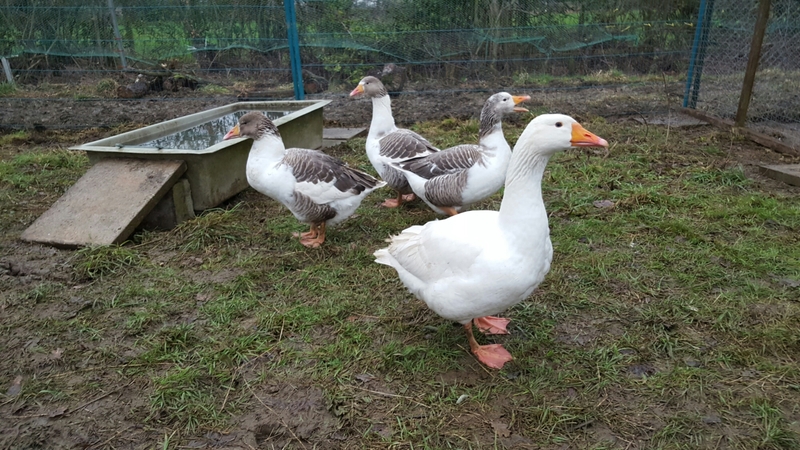 The geese were finally moved a few days ago with Jan’s help. She manned the gates while I took them over one by one. 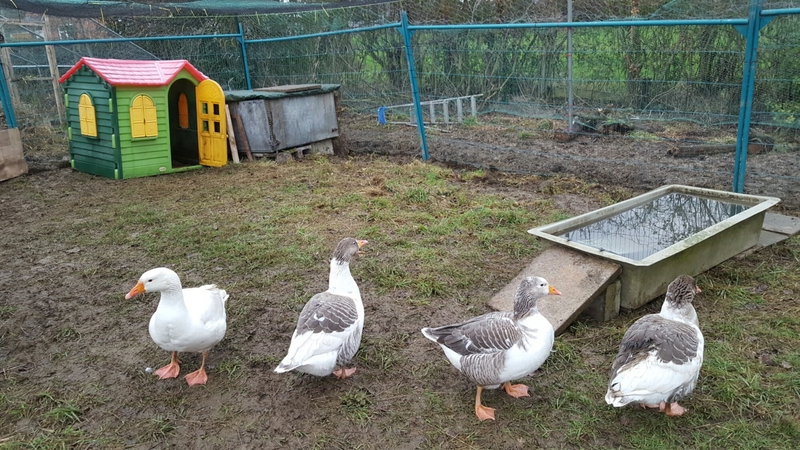 With each goose I settled them at the bottom of the ramp of the pond and then helped them walk up the ramp to the edge of the pond sitby the edge of the pond and then go in. Each one flapped their way straight out but hopefully gave them the idea. I left William the gander ’til last. His behaviour has already changed now that it is the start of the mating season and he has become a lot more forward and a little aggressive which is most unlike him. I had already seen him mating with the girls. Hopefully they will start laying soon. (Being a very rare breed the hatching eggs sell for £5 or more each – and each of the three girls could lay 20-40 eggs. I’ve heard of ducks in a row…. but geese?! Brilliant! You’ve done so much over the time you’ve been there, Jane.